Students are sometimes taken back when I tell them that they can use pen on their bubble sheets. Many of them insist on using a #2 pencil because they still don’t trust me. It’s exciting to see the students in the room who light up over the “rule” they get to break. Those same kids who get excited about the #2 pencil rule being broken are often the same kids who wondered why teachers made them use a pencil in the first place. The answer I always got in my 1980’s education was that the bubble sheet reader could only scan a #2 pencil, not blue or black ink. I’ve never even heard of a #1 or #3 pencil. Enlighten me in the comments below if you have. Grading apps are about $10-$15 for a good one. The convenience of printing your own sheets and scanning them in your classroom or at home beats having to visit the machine. Too often these machines are in closets with no windows, and I can’t help but think that the door will shut and lock me in the one place in the building without cell phone reception. That’s the real reason I like ZipGrade. Maybe you have different reasons. Tell us about it in the comments below. I’d love to learn more about how you benefit or struggle from using technology. It’s the best way for me to learn how I can help. Bottom Line: What’s Really Wrong With Scantrons? With today’s technology, Scantrons are done. Okay … not really. Teachers who have been doing things a certain way for 25 years don’t necessarily want to change. They don’t have to, but, as a department leader, I don’t have to fix the machine when a less expensive alternative is available. Not only is there a less expensive alternative, it provides more access to the data. 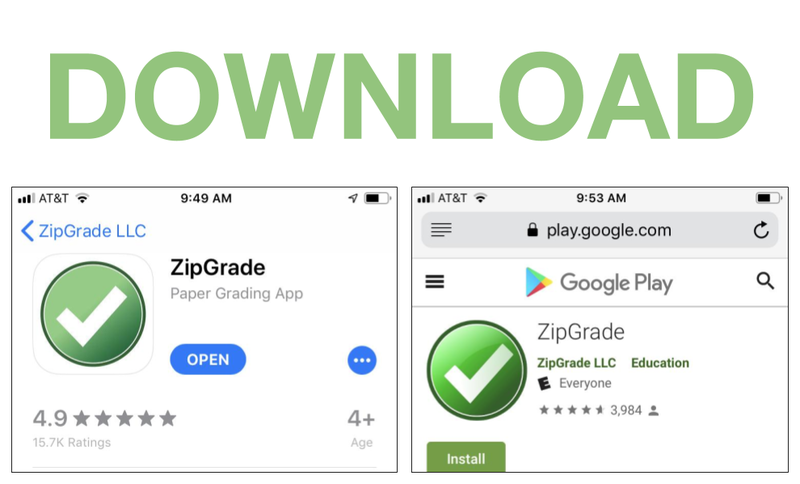 Grading apps like ZipGrade store the results of the assessments, provide breakdowns of the question results, and allow users to organize classes for pennies on the dollar. Aside from the extreme cost of Scantron sheets, the expense of the machine, the cost of fixing the machine, the time on the phone with technicians because you ran out of money for the repair service, and time waiting to use the machine while the new teacher unjams the machine before finishing the 120 scans, there’s nothing wrong with Scantrons. I’m for ‘em -- just take care of the laundry list of nonsense I just mentioned. Before you install the app, it’s a good idea to make an account on the ZipGrade website. The website is easy to navigate and provides all of the information you need to use the app. Go to the App Store for iOS users or Google Play for Android (click here and scroll down for the link). You can scan 100 quizzes per month under the free plan. For $6.99 per year, you scan unlimited papers. I paid about $14 four years ago for a lifetime of unlimited scans, but, to my knowledge, this offer is no longer available. If you are purchasing apps for multiple users, perhaps for a department or school, you can buy codes that users can input into their apps to gain unlimited scans each year. Classes can be made on a full browser (laptop / desktop) or on a mobile device. I recommend setting up classes and adding students on the full browser because you can upload a CSV (spreadsheet). 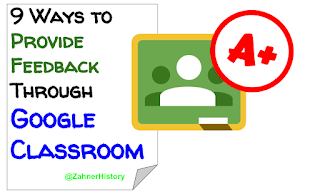 If you don’t have an online gradebook or don’t use Google Classroom, make a Google form to collect student email addresses for uploading to ZipGrade. Open the side navigation by selecting the three horizontal lines in the upper left of your mobile device screen. This opens the menu with classes and students, among other tabs. Select “New” in the upper right. This opens a page that allows you to add the class information. You’ll also see any quizzes that you have assigned to the class. For new classes, there shouldn’t be anything here, of course. The benefit of adding students is the code that you can provide them to protect their identity. Also, the data will be easier to analyze with your students added. You can edit your student list by selecting “Students” in the side navigation. Like I said above, I don’t recommend using the app to add all of your students -- it can get tedious. Quizzes are easily made on the app. If you are not already on the quiz dashboard, touch the quiz icon at the bottom right of your screen. Once you are on the quiz dashboard, touch “New” in the upper right of your screen. This opens the quiz information settings where you can add a title, among other options. It’s important to notice the “Select Form” option. This allows you to choose which size answer sheet you will need for the quiz. See the next step for more info on answer sheets. Once the quiz is made, you can edit the answer key. Touch “Edit Key” to open the bubble sheet on your screen. Select the correct response bubbles for each question. This saves automatically. Touch “Quiz Menu” to return to the quiz. If you want to enter some advanced settings, like changing the amount of points awarded for a correct response, you have two options in the “Edit Key” screen. The first option is to select the settings icon in the upper right. This screen shows options that apply to all of the questions. The other option is to select the information icon on the far right of each question in the “Edit Key” screen. This allows you to change the options for an individual question. Answer sheets can be printed from the full browser site or they can be emailed to you through the app. They come in PDF format, so there are few to no issues viewing or printing from your inbox. The answer sheets are available in 20-, 50-, and 100-question sheets. I use the the 20-question answer sheet most often, so I made a Google doc with four 20-question sheets on it. I keep a stack of copies ready to go on a moment’s notice. Click here for a copy of my 20-question template. This link will open a copy screen. Click the “Make a copy” button in the lower middle of the screen to have your own copy. If you don’t have Google Drive and need help, ask us in the comments below. 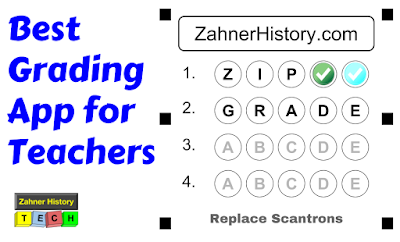 For more templates from Zahner History, click this link for 15 FREE Google docs templates. Students can use anything to make their selections on the bubble sheet. The app will even pick up messy marks in the bubbles. I don’t tell the students that because it's still easier for the teacher if the bubbles are darkened neatly. Touch “Scan Papers” on the “Quiz Menu” screen, and hold your device over the bubble sheet. Line up the solid boxes on the answer sheet with the boxes on the app screen. The paper will scan automatically. The scan takes a picture of the student name, so you will be reading their name to determine the owner of the answer sheet. You can access the scanned papers by touching “Review Papers” in the “Quiz Menu” screen. The “Item Analysis” will show you the breakdown of each question on the quiz represented. It includes raw data, percentages, and graphs. The data can be downloaded from the website as a PDF or CSV for records or sharing. When you initially open the analysis screen for a quiz, the data shows all of the questions in a list. Touch one of the questions to isolate the data for that question. For a list of students who chose a certain option on a question, touch the option and a dropdown of the student handwritten names will appear. The data can be exported from the website. 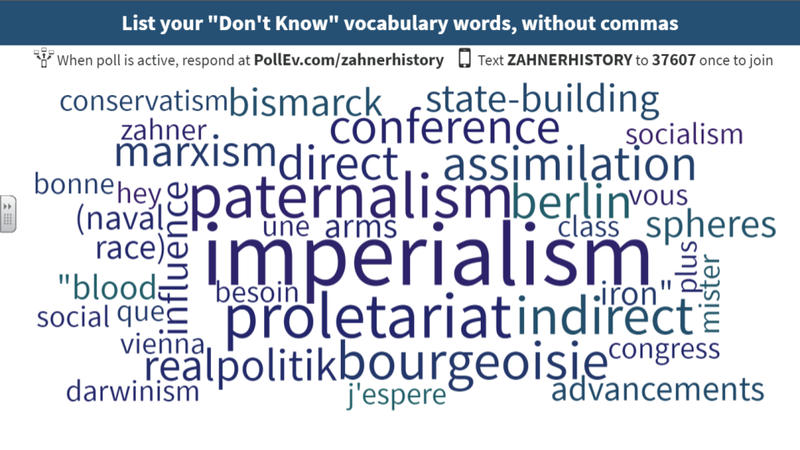 Click or touch on quizzes, and select the quiz from the list. This opens an analysis dashboard that is easy to view and find whatever you are likely to need. I could never afford to go back to Scantron. The fact that the data is keep on my device (without taking up much space) is reason enough. It does the item analysis I’m look for and provides options to have full control over the process of each student, quiz, or item. I still use Google Forms for a lot of multiple choice quizzes, but not every assessment is, or should be, paperless. The balance of technology use will persistence because many students require paper for the material connection and alternative experience, so I’m sticking with ZipGrade for paper-based selected-response assessment. Please leave any thoughts, helpfuls, questions, or concerns in the comments below. Thanks for reading. If this article helped you, help us by sharing it with someone who may also benefit from it. My father called me to ask if there was a way to turn a JPEG into a PDF. I told him that there were a few ways we can do it and that I should just come over and see what he’s trying to accomplish. It’s the best way to coach someone on technology issues. When he told me that he needed to scan receipts to share via Google Drive, I suggested that we install the new Adobe Scan app on his phone. This worked perfectly and cut out about two steps and a piece of hardware for my father who doesn’t need extra headaches over hardware and software. Who does? Helping my father sort out his issue with converting to PDF got me thinking about how far these tools have come. 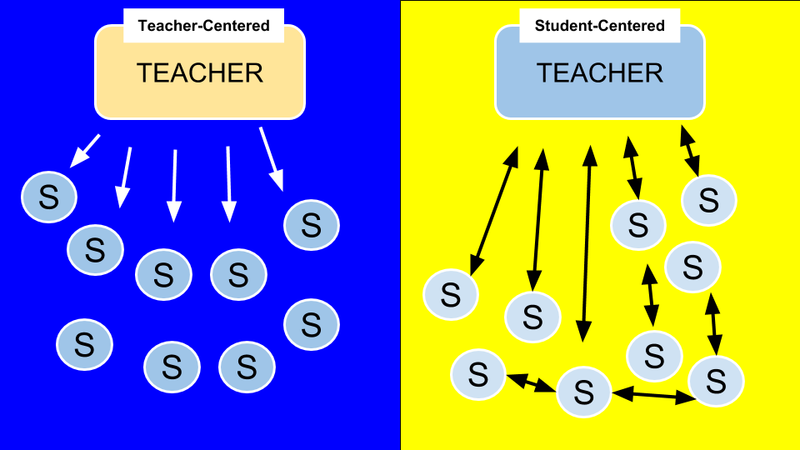 It also got me thinking about how many tools we actually do not need to accomplish some of the tasks we face as teachers in connected classrooms. 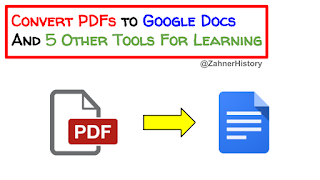 My favorite PDF conversion trick is to open a Google doc in drive by right clicking on the file and selecting open with Google Docs. Most files that were originally created in word or Google docs and then converted to PDF will convert to a doc file rather easily. But this wasn’t always the case because I can remember when Google Drive could barely convert a word doc without severely messing up the formatting. This way of converting PDFs to Google Docs is a sort of a hack. If you open the PDF and then select open with in the upper toolbar, you don’t get the same option. You get whatever apps are pre-installed in your Google Drive or whatever apps you’ve installed to convert PDFs. But after trying several of them, right clicking within Google drive and selecting to open with Google docs has been the cleanest way to do it. 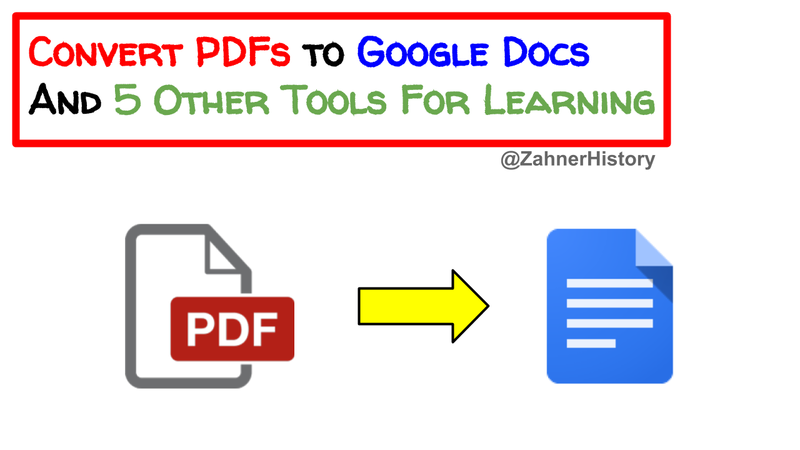 Some of these PDF tools, however, could be very helpful for classroom teachers. 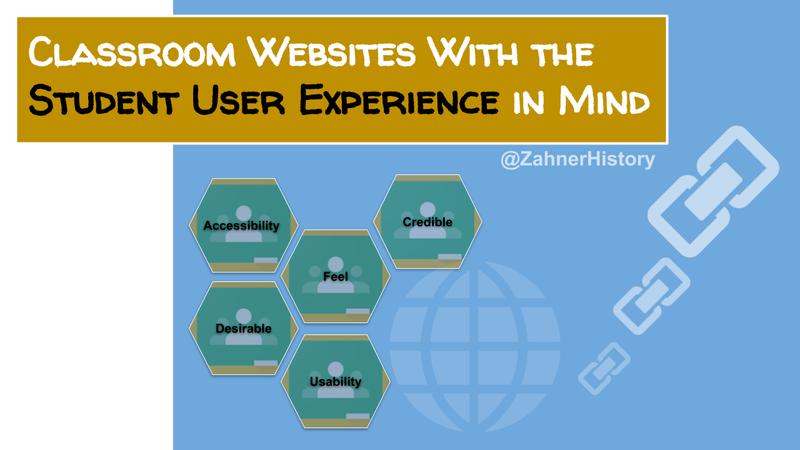 Let’s look at five tools I do not want to live without in the 21st-century connected classroom. If you’re looking for a way to print content from a website, look no further. Print friendly and PDF is a Google Chrome extension that will make any website ready to print with one click. And if you don’t want to print it, you can download a PDF instead. When you click the extension while visiting the web page you want to print or save to PDF, a window opens that allows you to edit the images and delete the elements of the page that you don’t want. This feature is nice because sometimes you don’t want all of the links that go in a post, or perhaps you don’t want all of the images or text. 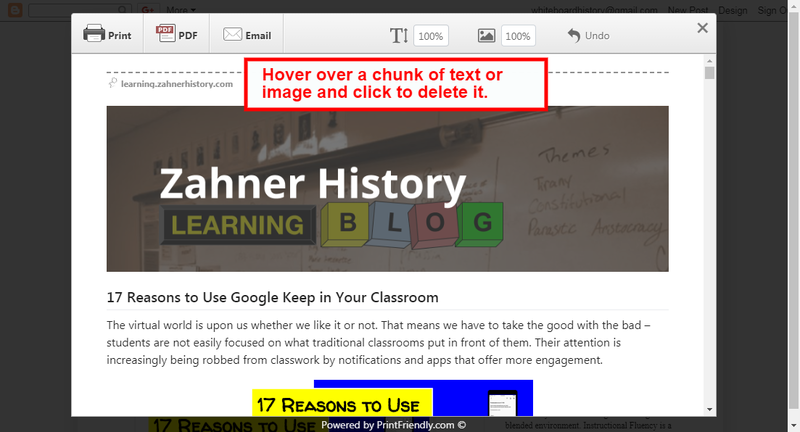 Most chunks of content can be deleted to clean up the document. Maybe you want the images but you want them to be a smaller size. You can adjust the size of all the images at once by selecting a different scale percentage in the toolbar across the top of the window. The same goes for the size of the text. One of the nicer features of this extension is how the title of the page and the URL are at the very top of the first page and can’t be deleted. I like this feature because sometimes I have to add the URL so my students can refer back to the site from which we got the content. It’s also just good modeling to show my students that we include the back link when we use someone’s content. This could be better than giving them credit because it’s giving them a direct link back to their site – a drop of link juice for their site's authority. When was the last time a works cited page had the authors source material on speed dial for client referrals? If you need to email the PDF, there’s an email button built in to the toolbar, as well. I haven’t needed to use this feature much with students, but it’s very easy to see how this could be helpful for someone who lives by the email workflow. I’ll admit that Dochub was a little buggy in the beginning, but I saw that it was a small company with a good idea and lots of potential. Wow, am I glad that I stuck with it for the past four years because it’s now my go-to for editing PDFs. Dochub is great for adding or removing pages from a PDF document. It’s can also facilitate adding or removing content from a PDF. There’s no need to print something, tape a piece of paper over the part you don’t want, and recopy the document. 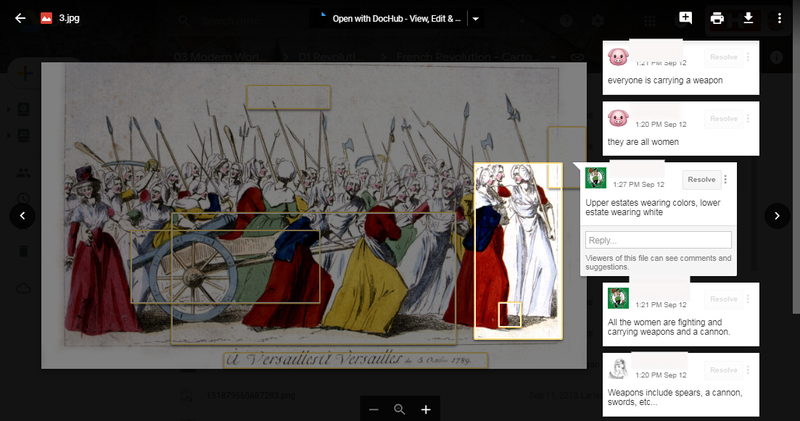 Dochub allows you to do it digitally and save the edited file to Google Drive. I like to add questions and comments in the margins of readings that I pull from the web. This also includes adding symbols or icons like a pencil on paper to various parts of documents where students may need a cue to make a note of something or to refer to their skills packets. And this is just the free version. If you needed more features like signing documents securely, the paid versions of Dochub do that, too. The new PDF preview features in Google Drive are perfect. 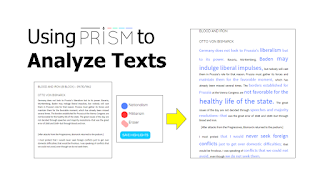 I know this has nothing to do with converting PDFs, but it has a lot to do with using PDFs in a new way for learning activities. Let me explain. Remember the content I pulled off the Internet with the Print Friendly and PDF Chrome extension? Picture this .. it’s in a Team Drive folder that students can access. They are assigned sections of the reading (or whatever the content may be) and you ask them to use the comment tool to write “need to know” questions about anything in their assigned section of the content. The teacher can watch the students work and reply to comments as they are posted. It’s amazing how much teaching and learning can happen when students are charged with asking questions. Now, the lesson is about uncovering the content instead of covering it. We can all see the questions, responses, discussion, and the connection between the text and the need to know information. The comment tool in the Drive preview also works for image files. 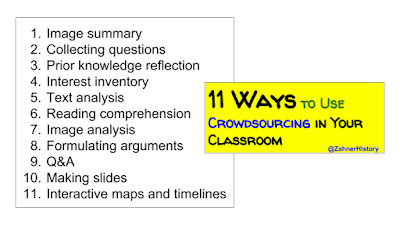 This opens new doors for establishing thinking routines, making thinking visible, and learning with others because the decisions of each learn are clear and available to their peers. 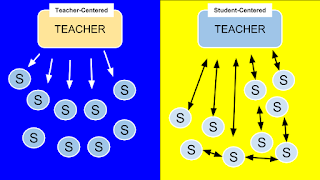 In effect, the expectations are better reinforced when students see an example from their classmate that passed my examination versus an exemplar provided by the teacher. If you teach teenagers, like I do, then you know that an idea from a peer is far more “sticky” than one from me. This is the app I showed my father. The best two things about it is how hard it works to scan a clean image and the ability to share via almost whatever app you want. 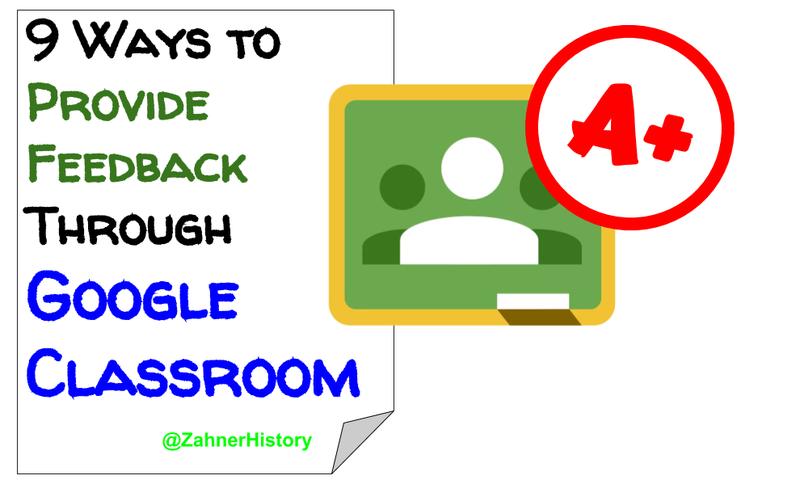 For my students, and my Dad, this means sharing via Google Drive. The app uses your device’s camera to scan the document. It recognizes the document and automatically locates the edges before taking the pic. Then, the app will recognize the text and adjust the tracking of the document to straighten it out. If you want to scan several pages, it will recognize one page after another and not make the PDF until you touch the “Save PDF” button in the upper right. It’s easy to crop, delete pages, change the order of the scans for a multi-page PDF, or edit the color or orientation. I think you get the point. 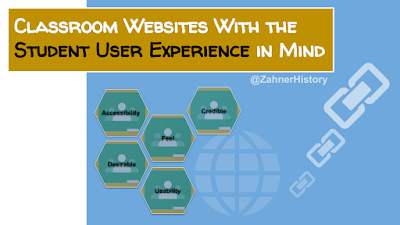 Let’s think beyond a slideshow app and use Google Slides as a publishing platform. 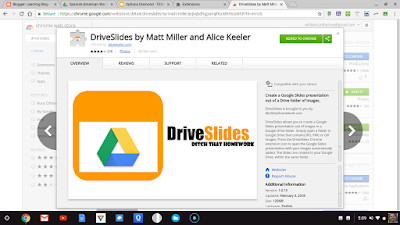 It doesn’t matter whether you need to publish digital or print media, Google Slides is the best free app that gives you a clean slate for your students’ work. 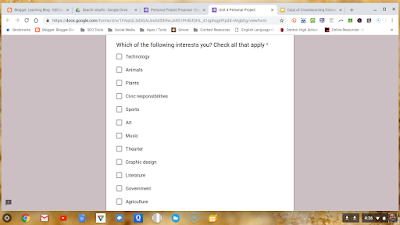 In my toolbox, it’s only second to Adobe InDesign, but I don’t need powerful apps like Adobe CC for my history students. Slides can be used to make ebooks. In fact, I’m using it to make my first ebook about learning strategy templates with Google apps. I changed the page to 8.5 by 11 inches and made a design template for the content. 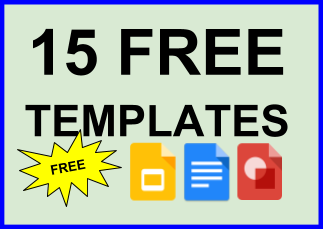 This particular ebook shares 30 templates on Google Slides, Docs, and Drawing – all based on learning strategies that work. What else can we do with PDFs? I’ve already written about using Slides in different ways, so I won’t get too deep. But I want to mention that individual slides can be downloaded as PDFs, and the print options open doors for rethinking how to use Slides. Consider instructing students to use the slide for drawing or images and the speaker notes for the text. 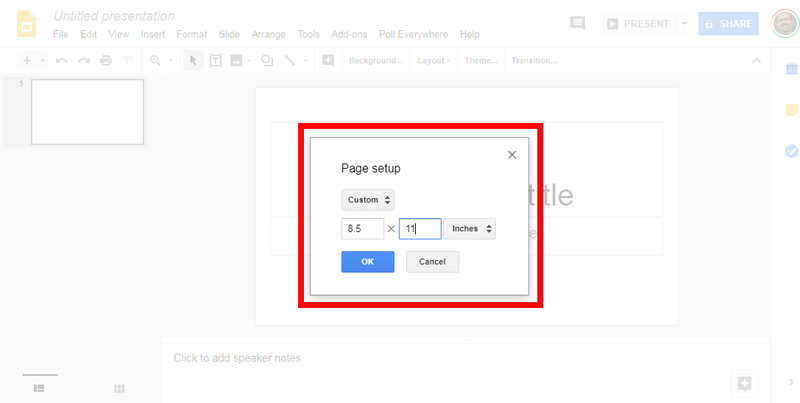 In the print settings, choose the settings that allow you to print the speaker notes and one slide per page. This becomes a great way to print all of the student work at once. More in-depth directions can be found in this article. The virtual world is upon us whether we like it or not. That means we have to take the good with the bad – students are not easily focused on what traditional classrooms put in front of them. Their attention is increasingly being robbed from classwork by notifications and apps that offer more engagement. I know these issues because I suffer, too. We're all wondering what people are doing all of the world, and it's great to learn from interacting with our friends online, watching YouTube videos, or listening to podcasts on the way to work. The trouble comes when this increase in information processing shifts our abilities away from staying on task and being responsible for our commitments. Apps like Google Keep offer solutions to some of the problems faced by both students and teachers in the classroom. Here are some of the ways Keep can be used to alleviate the stress created by fast-paced schedules and online access to instructional materials. This one is my favorite. I use reminders on a regular basis for anything necessary. From remembering to bring $20 for a gift to picking up my son at school, I set reminders for whatever I cannot stand to miss. Let's say your students need to reflect on their weekly work every Thursday night to prepare for a class meeting on Friday. They can choose the best time of day to receive the reminder and click the link to go directly to the Google form, doc, etc, so they can complete the task right away. Students can benefit by setting reminders to work on assignments, bring in certain materials, or to attend tutorials. Sure, many of us can write these things down on a calendar, but the reminder feature on Keep can appear as a notification on your phone or pop up based on a GPS location. Plus, the reminder can contain the file the student needs to work on. I mentioned above that we are dealing with media that are constantly robbing our students' attention. This goes both ways, too. We are dealing with trading time. The time in a day can be spent on different activities that add value to our lives. Reminders help keep me making the right choices in the long term, especially when I'd rather be doing something else. It seems that many people run their days on to-do lists. Making a list in Google Keep includes check boxes and a strike-through when you check the box. The best part is the ability to archive the list or reuse it for routine tasks. Students could use a list made from the directions for a project. Simply select the text you want to send to Keep, and right click to bring up the menu from which you can choose “Save to Keep.” There may be some work that needs to be done to format the note, but most of the job is done automatically. I still remember the excitement of getting a new Trapper Keeper at the back-to-school sale. It was a binder with a simple wraparound piece to keep it closed. We kept notebooks, paper, folders, and a pencil bag inside. It had everything I needed inside. This same childhood feeling came back to me after I started using Keep to organize my projects, ideas, notes, and websites I may need to reference routinely. 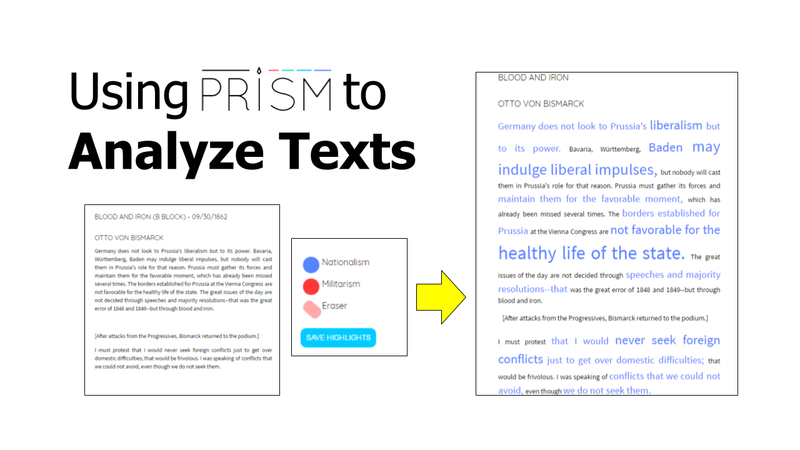 It was just so easy to color code notes and write tags to filter the notes with one click. If you’ve ever seen a student take a photo of your slide projected on the screen. This can be a very efficient way to collect the information, but it doesn’t matter if you can’t find it later or don’t spend much time processing it. By taking a photo (or screenshot) and labeling it, you’ve thought about bigger ideas that relate to the information. This is already a step ahead of most note-taking practices, especially those practices that are more on the side of recording information than distilling it into a note. We all talk about goal setting at one point or another. It’s the only way we learn how to manage all of our tasks and make progress on our aspirations. But how many times have you taught kids how to leverage tools like the reminder feature to avoid procrastination. Sometimes it’s not the right time to do a task. Perhaps it doesn’t fit with our schedule or we are not emotionally fit to initiate and persist. This is exactly the organizational skills our students need to learn. When is the best time to complete a set of tasks for an assignment? The best time to complete the task depends on the individual. The best time to schedule your time to complete all or some of an assignment is when the assignment is assigned. If I am assigned something on Tuesday to be completed by Thursday, I know that Tuesday night is the best time for me to complete some or all of the tasks. 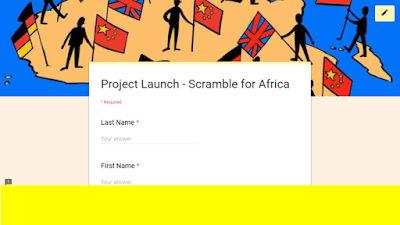 I can set a reminder to complete it at 7:30 p.m. and include a link to the materials in the Google Keep note. When it pops up on my phone, I’ll be at the right place and ready to work. As students practice setting work completion goals in this way, they can begin to calibrate their time management. Essentially, using Keep in this way becomes a way to dial in the accuracy of their assumptions on their work habits. Keeping people on the same page has never been so easy. The ability to collaborate is a standard of cloud computing and ultimately the best use of these platforms. For students working on group projects or cooperative learning activities, the ability to share notes is crucial to their work flow. Google Keep allows you to share notes with other Google account holders. Simply select the collaboration icon at the bottom of the note. The owner of the note with be in parenthesis and account icons are visible for easy identification of collaborators. I even collaborate with myself if it’s a reminder I don’t want to miss. Perhaps you have a Google account for school (or work) and a personal account, shared notes between accounts will ensure that you get reminders on your app. The app only shows one account at a time, so switching between accounts can affect your reminder visibility via the app. The text from an image is recognizable by Google Keep. If you upload an image to a note, click the three horizontal dots for more options. One of the options is to “Grab image text.” This tool places the image text in the note. Grabbing image text can be helpful if you need to transcribe the image text or if you take a photo of a slide during a presentation and want the text in your note. 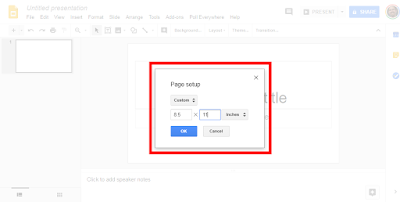 The note text can then be used to add information to a Google Doc or Slides presentation (keep reading for more on this). Let’s say you have to prepare for a presentation and you organize your ideas and materials in Google Keep. You can make a slide presentation from the information in a Keep note. The Keep icon is on the right sidebar of the Slides app waiting to be clicked. It opens your notes within Slides, allowing you to click the three vertical dots and add information to a slide. This doesn’t just go for Slides, either. 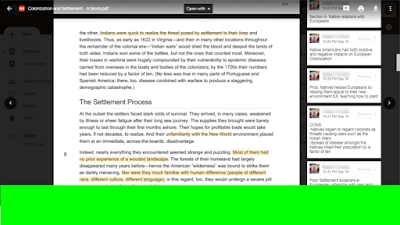 You can access your notes and add information to a Google doc, too. 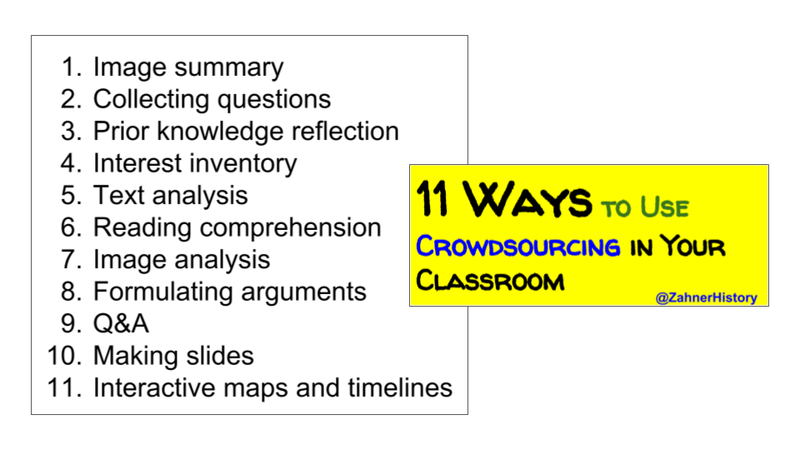 Perhaps you’re working on a lesson and you want to bring together ideas you’ve been collecting for an upcoming project. The information is ready when you are, including images and links. Drawings are great for sketching ideas and putting a more personal touch on a note. They can be made on both the browser and mobile apps. Although the drawing options are limited, it does include changes to the pen size, color, and backgrounds – grid, lines, dots, and none. The drawings can be sent via email or text message. If you need to illustrate the directions or collect a sketch from someone, sometimes text messages are the easiest way to do it. The drawing is sent as a file, not a link to the Google Keep post. 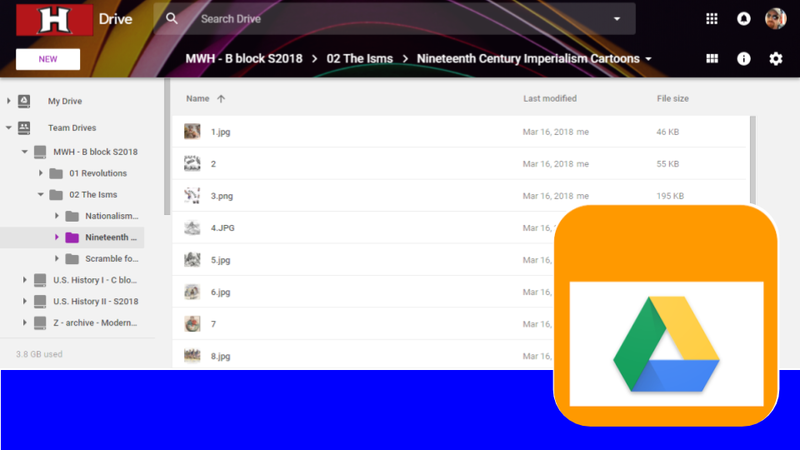 If your class uses Google Drive, try sharing drawings to a folder in Team Drive to collect your students’ work. The folder in Drive can be viewed as a slideshow for discussion. This workflow would be good for a variety activities. For example, have one student face the screen and describe to a student facing away from the screen what to draw and where. Activities like this help students develop team skills, technology proficiency, and more detailed descriptions. 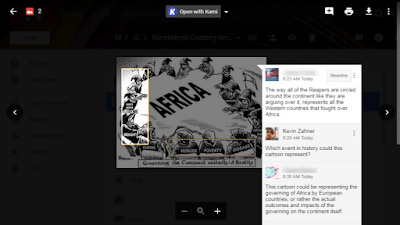 Google images is full of slides from slide presentations used by teachers and professors from all over the world. 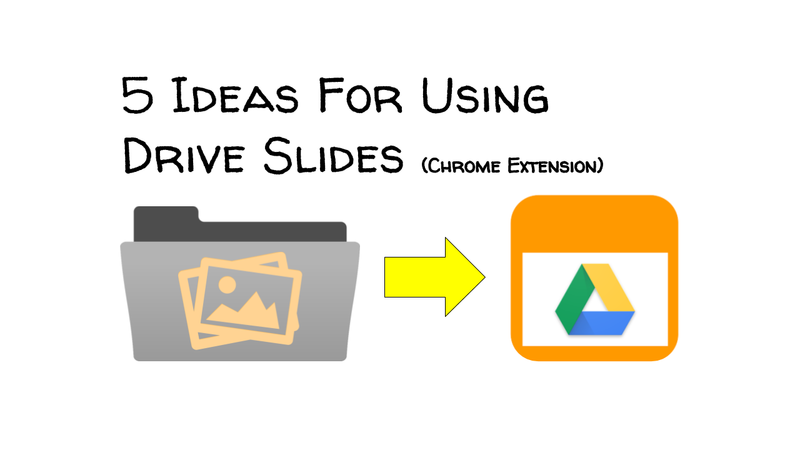 These slides are easy to save in Keep where annotations can be made with the drawing tools. Just like making a note with a drawing, you can draw or write on an image, like adding a star or check mark next to the points on a slide clipping that you want to focus your attention. Making comments on student work is often a matter writing similar statements in different places. I store the rubric level descriptors in Google Keep notes so I can copy and paste into Google Doc comments. This saves time and establishes a routine with the students to refer to the rubric. As long as the level descriptors are specific enough, the feedback will be actionable. Quizlet is awesome. 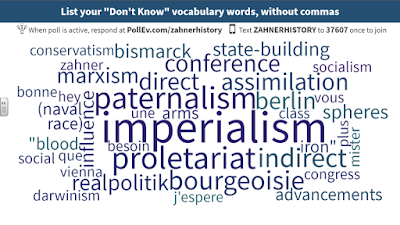 I love it for so many reasons, and Keep can be a more integrated way to organize vocabulary study. If students transfer the word list to a note, they can have the words to quickly reference as well as the link to a Quizlet deck in the same note. 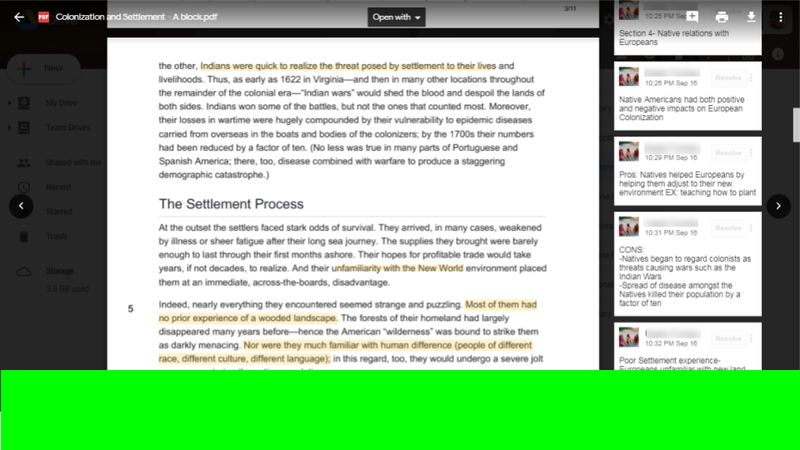 Users can then label the note with the subject and the unit to further organize their study materials. Over the course of a few years, they may amass quite a few notes with lots of key information. Considering most of the learning materials traditional approaches would use get recycled or otherwise left behind, this is a game changer for long term resource organization. This would have been perfect in grad school. I can’t tell you how many times I had to use the same research on different papers. If could have done a keyword search on my own term paper notecards, that would have been amazing. Plus, paper note cards don’t have clickable links to resources. Sure, the tactile nature of paper cards is important to people. Take a photo of the paper note card and add it to a note in Google Keep. Then add the links and label accordingly or title it so you can search for it later. If you handwriting is neat enough, you could transcribe the note card to the Keep note and optimize the searchability of your notes. Writing in a journal is different than note-taking. It’s challenges the writer to make deeper connections with new information and prior knowledge to strengthen their understandings. It’s best used for concepts and big ideas, which is perfect for Google Keep. In use #3 on this list, I suggest using color to organize notes. The colors could relate to themes. One of the powerful effects of journaling is the organization and reorganization of information into new and old groupings. If you have the Keep Google Chrome browser extension, you’ll be able to open Keep and save the URL without leaving the website you’re currently using. It lets you write a Keep note and label the note to organize it among your other notes. Students don’t do themselves any favors when they come across useful resources and close out of the tabs on their browser when they’ve found what they need. The process of finding what you need puts us in front of several useful resources. When you find one that looks good for a future question, save it with a relevant label and continue your search. The mobile app allows you to make a voice recording note. The note can be transcribed automatically, but you’ll still need to edit the note to fix the spelling and punctuation issues. But this shouldn’t stop you, especially if the spoken word flows better for you. Students should be encouraged to write with voice recordings and transcription tools if they are not good typers or loose ideas because they write too slowly. I type really fast but still use the voice tools because it’s a different approach that maintains words on the page when my brain-to-hands connection is a little tired or uninspired. In the Mobile Age of the Internet, not much is more important than WiFi and access to our tools whenever and wherever we need to be productive. For many people, this means accessing information on different devices, depending on when and where we are working. My students use Chromebooks during class and their phones for most of their connected productivity elsewhere. 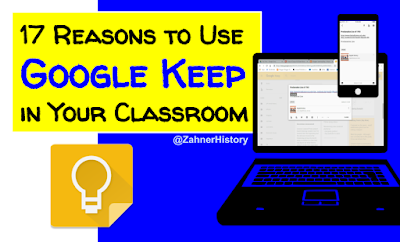 If they use Google Keep on their Chromebook to set a reminder for a homework assignment, for example, they can receive the reminder on their phone if the Keep app is installed and they are logged into the right Google account on the app. I can’t tell you how long I’ve been trying to train my father to use the search tool in Google Drive to find documents. He sees how quickly I find things, especially when they’re not labeled well or in the proper folders. The problem is that he’s in his sixties and it takes a lot of rewiring to get him to embrace the search tool as a primary means of finding files. Our kids are more prepared to embrace the value in developing effective search skills. Like Google searches, Keep will search titles and the note content to serve you results that relate to your keywords. This means, using good keywords in the notes as well as meaningful titles is crucial to making highly searchable notes. The best part about using Keep with my students is the amount of connected learning skills they get to develop through productivity suites like G Suite Edu. It essentially does not matter if they take what they’ve learned and apply it to a Microsoft platform because the concepts about search engines and keywords are still the same. Plus, most of these tools do the same thing with slight variations or added features. Google Keep is sticky notes for the mobile connected worker or learner. Evernote has more features and acts more like a notebook with editing tools, and OneNote is very much like a digital binder. 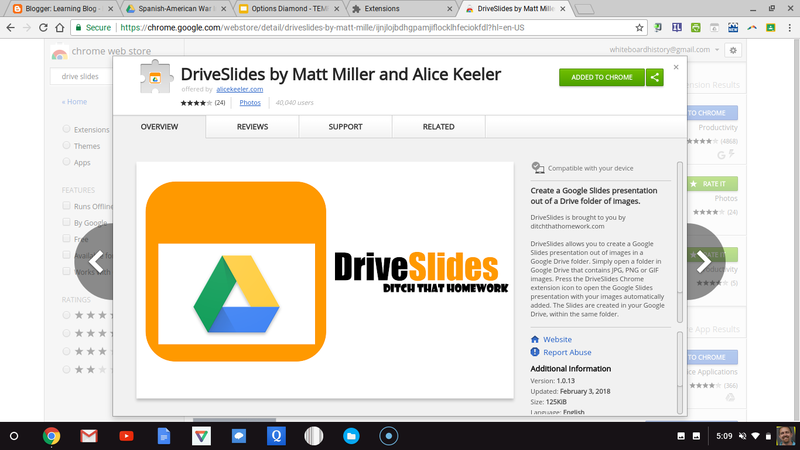 These tools are great, but the integration Keep has with other apps is ideal for G Suite users. 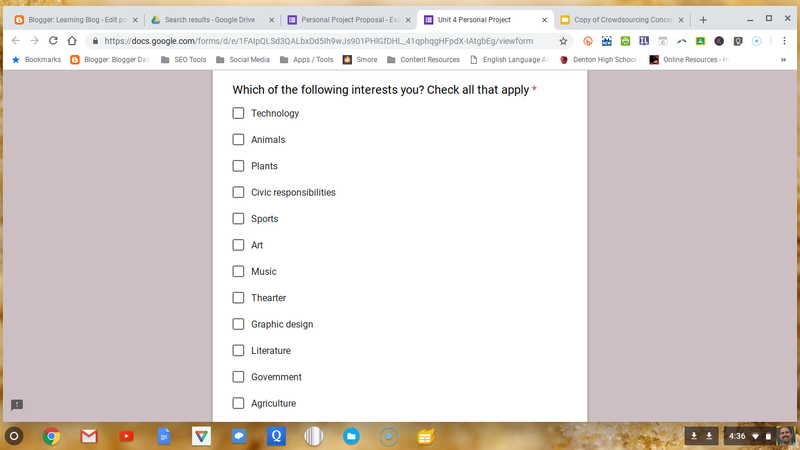 I guess if I worked for a company or school that used Microsoft, this list would be about OneNote. But I think the reasons would be very similar, if not the same.